This course provides a general overview of Enterprise Systems (ES) using SAP ERP software. Case studies cement the theoretical foundation of the system and business processes by putting theory into practice using integrated business processes. The “Guided learning” method explains processes and procedures in detail and makes sure knowledge is imparted quickly. Students learn about a number of theoretical and practical issues concerning business processes and their mapping into an enterprise system. After completing this course, students will be able to identify and match real-life business processes into ES business processes. The course consists of a core curriculum comprising SAP Navigation together with the Procure-to-Pay, Sales-to-Cash and Inventory Management business processes. The course can be concluded with an ES Fundamentals qualification exam. The course structure consists of approximately 13 hours of classroom lecture, discussion and exercise sessions and 10 hours of computer lab sessions where students do online workshops/tutorials on the actual SAP ERP system. Students will gain theoretical and practical knowledge of business processes as supported by enterprise systems software. The first module on Business Processes introduces a case study of a bicycle manufacturer and retailer. The business processes of Procure-to-Pay; Sales-to-Cash and Inventory Management are explained for the case study. The module on ES enables students to understand how ES software supports business processes and how enterprise systems are implemented to match organizational business processes. Students will understand organizational data and master data and how they are implemented in SAP ERP systems. During the Procurement, Sales and Inventory Management modules students will learn how to analyze a task and construct the steps for the business processes in an enterprise system and how real-time integration with inventory management is achieved. Students will gain practical experience in navigating the SAP ERP and Crystal user interface. 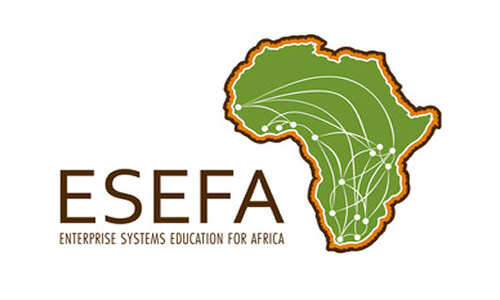 Students may attend the course and write the examination at any ESEFA partner university if they are registered students at a recognized tertiary institution and up to three months after they have graduated from a tertiary institution. Evening Course: This is a 10 day training running from 5:30 pm to 7:30 pm and starts on 20th -31st March 2017. Full Time Class: This is a 5 day training running from 8:30 am to 4:30 pm and starts on 10th -14th April 2017. Saturday Classes: This is a 5 Saturdays (Full day) training running from 8:30 am to 4:30 pm and starts on 25th March-26th April 2017. KShs. 30, 000 per participant. This covers live class sessions,Practicals,Vendor Based Exam and Certificates.